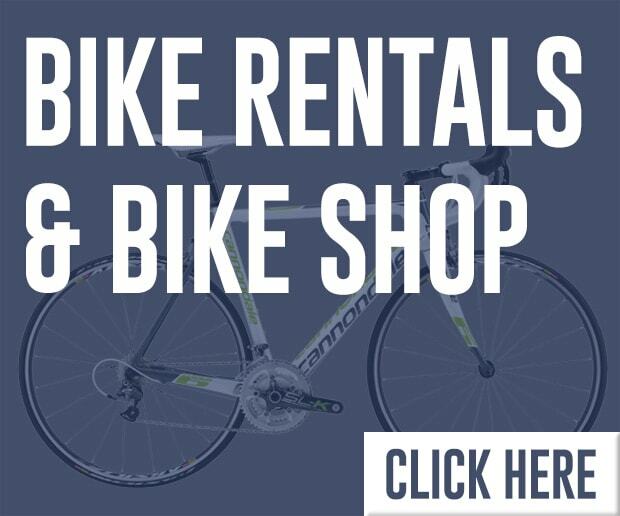 Returns: Rentals can be returned during business hours at this location. 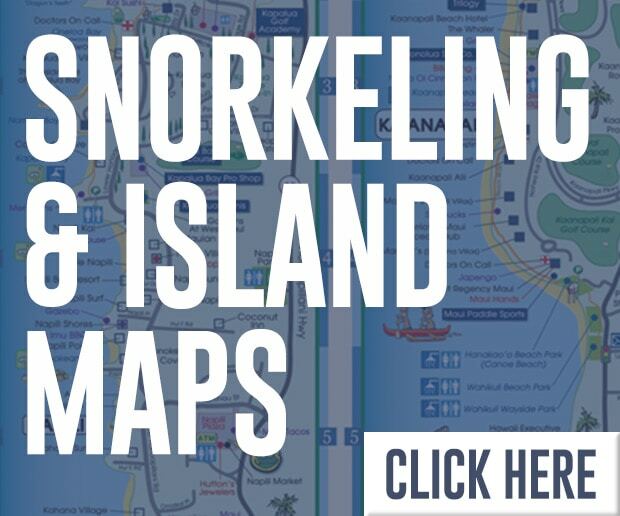 Driving Directions: Finding our Ma’alaea Harbor snorkel rentals is a piece of crabcake! This cozy Boss Frog’s location is on the lower floor of the Ma’alaea Harbor shops. The upper floor of this complex is level with Honoapi’ilani Highway (the road to Lahaina), and home to the Maui Ocean Center Aquarium. We are next door to Beach Bum’s, one of central Maui’s most well-known diners with a view. Two different staircases and an elevator lead down from the aquarium parking lot to Ma’alaea Harbor. All of them will bring you to us. Descend by the method of your choice, and go right. If you’re coming from the harbor itself – perhaps after an exciting tour on the Calypso or Malolo! – put the harbor restrooms on your right, and cross the street to find us. 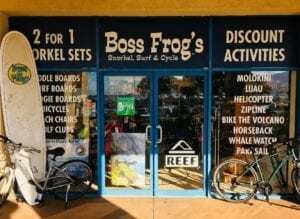 When you are staying in Ma’alaea, come visit our new Boss Frog’s right across from the harbor. 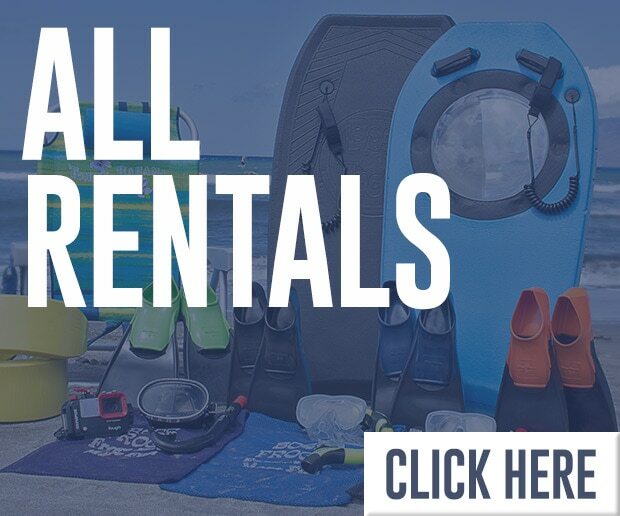 We’ll help with all your Maui activity needs, and we have rentals like snorkel gear, flotation devices, surfboards, boogie boards, beach chairs, golf clubs, and more! 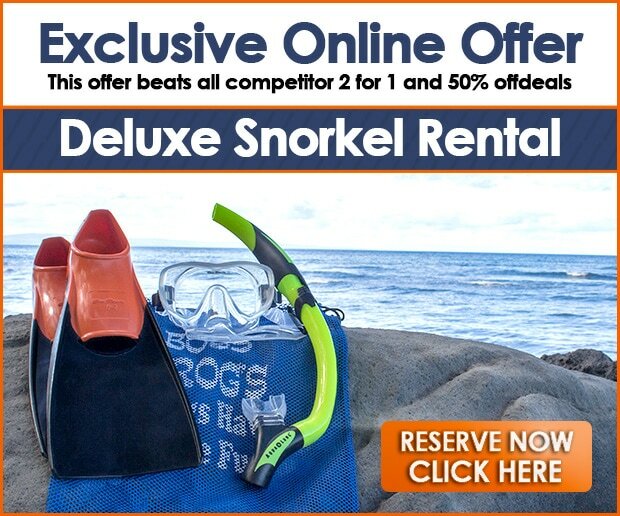 Check out our website’s rental gear page for more information about Maui beach rentals and Ma’alaea snorkel rentals. Rent our awesome beach and snorkel gear, go play, and when you’re pau (finished), just drop the gear off during business hours. It’s so easy! 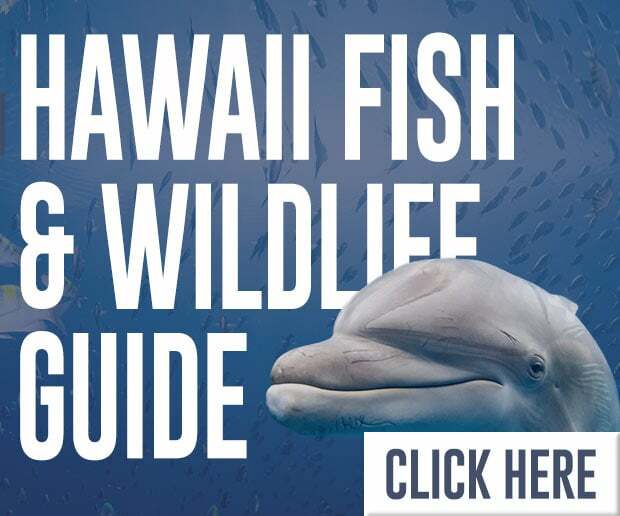 We also offer the latest in island wear like Maui board shorts, rash guards, and sarongs, as well as snorkel gear, beach toys, souvenirs, and gifts for sale. Sea you soon!